By Professor Kubo Tomoyuki (Linguistics) and the IMAP IDOC program faculty. It will take place at the Ito Guest House on Sept. 21 and 22, we hope to see many of you there! Registration is not necessary, and it is free. 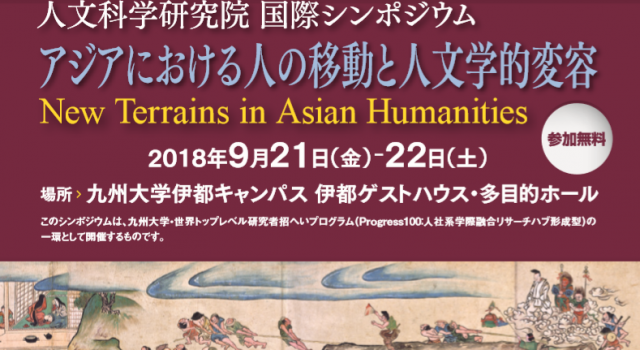 Papers will be presented in English, Japanese, and Chinese on topics in linguistics, art history, queer studies, cultural preservation, religions, and more.